The LA-based activewear line Alo Yoga draws inspiration from the fashion and fitness-focused lifestyle of Los Angeles. The brand’s designs undergo a series of tests to ensure optimum functionality and comfort. 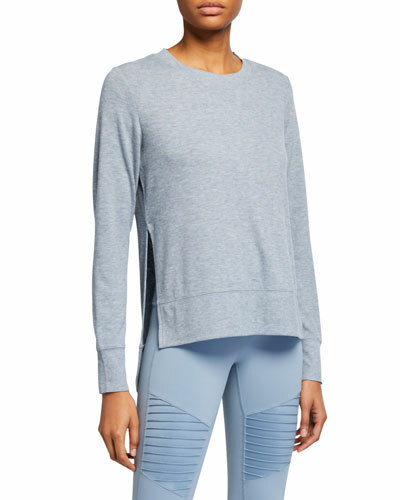 Alo Yoga clothing features a move-with-you fit and innovative fabrics for high performance. 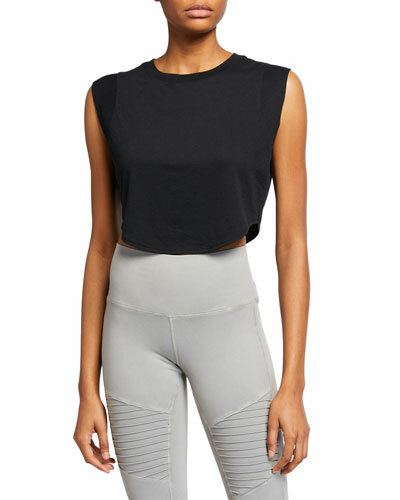 Neiman Marcus offers a fine selection of Alo Yoga tops, leggings, sport bras, and more. 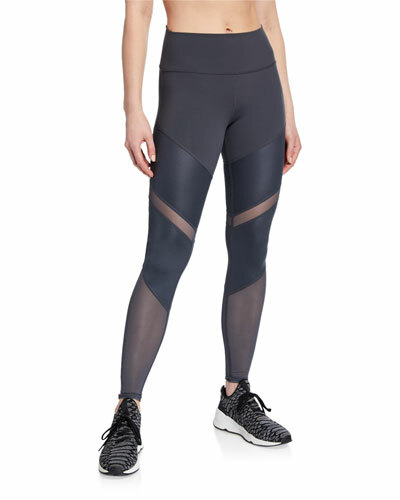 Beyond Yoga tights/leggings in high-performance fabric with marbleized print. 5" waistband sits high on natural waist. Approx. 25" inseam. Formfitting silhouette. Pull-on style. Cropped above ankles. Polyester/spandex. Made in USA of imported material. Model's measurements: Height 5'10"/177cm, bust 33"/84cm, waist 25.6"/65.2cm, hips 35.8"/91cm, dress size US 2-4/FR 34-36. Terez leggings in high-performance rose-print fabric. Moisture wicking, breathable fabric. Tall waistband. Second-skin fit. Pull-on style. Full length. Nylon/Lycra?? spandex. Terez leggings in high-performance rose-print fabric. Moisture wicking, breathable fabric. Tall waistband. Second-skin fit. Pull-on style. Full length. Nylon/Lycra?? spandex. Made in USA. Model's measurements: Height 5'10"/177cm, bust 33"/84cm, waist 25.6"/65.2cm, hips 35.8"/91cm, dress size US 2-4/FR 34-36. 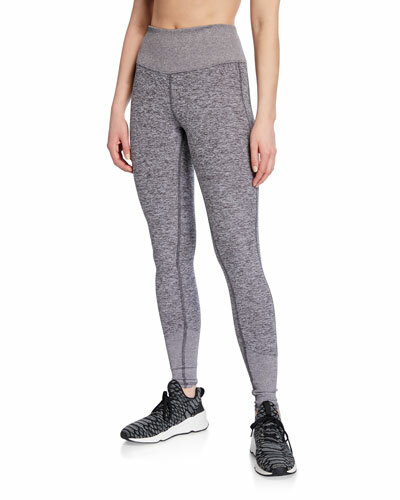 Theory Shawn leggings in Fixture knit. Approx. measurements: 8" rise; 27.5" inseam; 35.5" outseam; 5" leg opening. Regular rise. Smooth front. Skinny, second-skin fit. Pull-on waist. Viscose/nylon/spandex. Dry clean. Made in USA of Italian material. Model's measurements: Height 5'9.5"/176cm, bust 31.5"/80cm, waist 23"/58cm, hips 35"/89cm, dress size US 2.